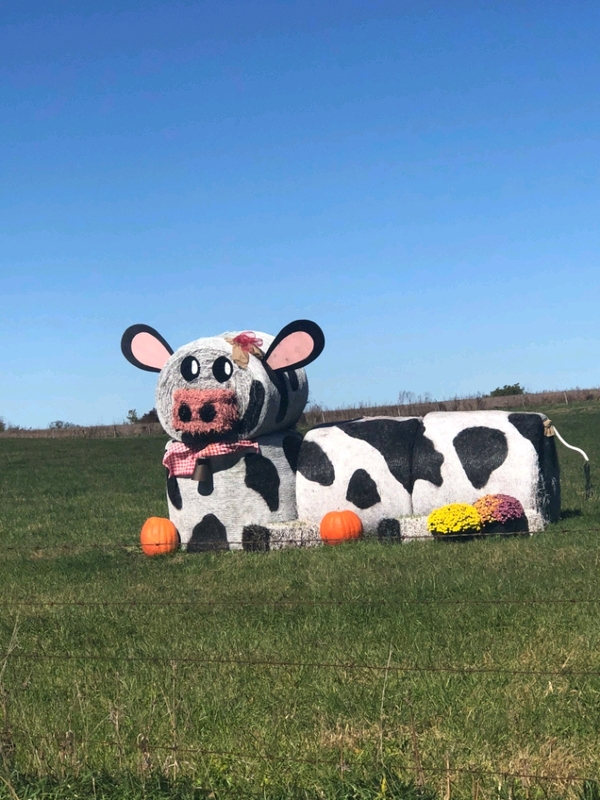 Forgot to post this year's hay bale sculpture that is on the road to The Elms, very inventive this season. 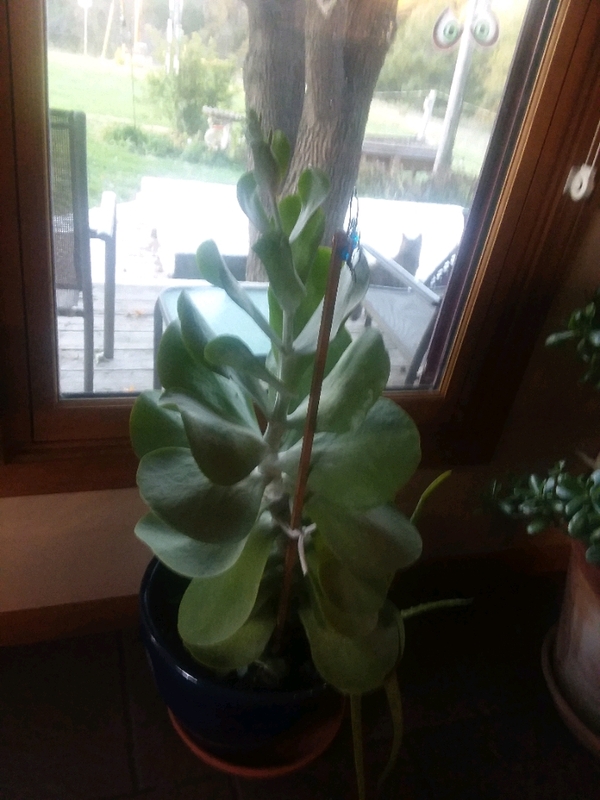 The flapjack plant is putting out a bloom stalk, interested to see what emerges. Apparently the mother plant dies after blooming, but alresdy had "babies" clustered around her base. The weather has been glorious so have taken advantage and been outside. Planted about 100 bulbs: daffodils, narcissus, crocus and alliums, Though I love tulips they never bloom well for me so left them off my list. Pulled up flowers that the frost has killed. Struggling with anxiety and heart palpitations the last few days. One of those vicious circle things, the skipped beats create anxious thoughts and then the thoughts give rise to more PVC'S. I am weary of it. Have been unable to find joy for several days. Woke to cloudy skies and the promise of showers, so looks like a day inside. Almost completed one sock so maybe will try to knock out that and start the second one. Making tortilla soup for kids later. Husband dug sweet potatoes, a good harvest so I used the damaged ones to make a sweet potato pie, yummy. Still reading the Joni Mitchell bio alternating with a British murder mystery. Hoping to go through today calmly and easily. I hope we all do. Couldn't find jam, but ordered some tea.